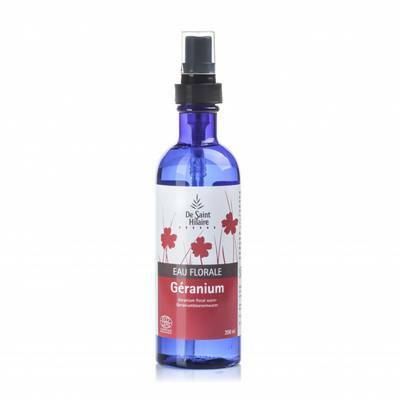 Produced by distillating Geranium flowers grown in Ardèche in France, this flower water is astringent, antiseptic, soothing and freshening (for oily and acneic skin). This flower water is recommended for all types of skin. It invigorates the face and gives brightness and softness to your skin. Geranium flower water is also a good insect repellent, notably for mosquitoes. To spray without moderation!